Jenolan Caves Coach Transport. 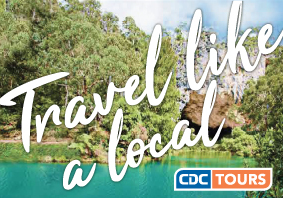 Travel by coach for a day trip to Jenolan Caves. This tour departs Katoomba at 10.35am and returns at 5pm. Passengers need to meet at the Bus Stop at the Carrington Hotel, 15-47 Katoomba Street, Katoomba NSW 2780 15 minutes prior to departure time. Tour includes return coach travel and informative commentary. Guided tours of the caves are an extra cost. Departure from the Caves is at 3.30pm, arriving at Katoomba approximately 5.00pm. Some Caves are not suitable for children 6 years old and younger. This coach tour may operate as a co-share and departure is subject to minimum numbers travelling.